We were approached by Assuntina, and thought we'd share her views on us and a little bit about our plans going forwards. I discovered this amazing brand on Twitter a few weeks ago and had to email them and see if I could feature on the blog – Mums Bake Cakes. They are a great company who help mums get back to work after having babies – they specialise with mummies who love to bake. Your company has a great moral behind it. Can you describe it in a little more detail? We believe that most people would support local businesses if they had the time, money and were given an easy solution to be able to access it, therefore we wanted to give people across the world the opportunity to do just that. Now with Mums Bakes Cakes, anywhere in the world, you can access a local baker in the UK who will deliver in their local area, creating cakes ‘just like our mums used to make’ homemade, delivered by hand from the baker who made it. Truly value for money cakes, created when the order has been processed, and adapted to suit the client message and design. Now families in the UK can arrange to have a tasty treat delivered by a local baker. 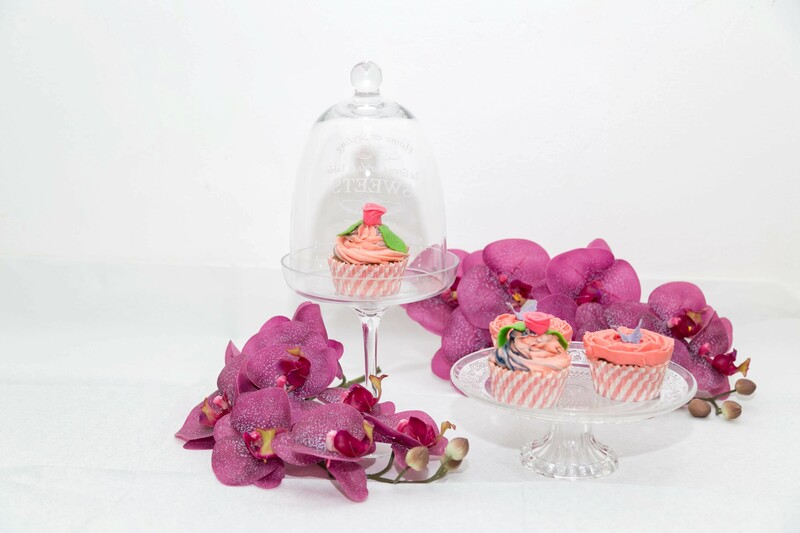 Just as flowers are ordered from anywhere and delivered by local florists, we have devised a marketplace of bakers where this is now possible with cake, cupcakes, cookies , chocolates and even sweets! It is all down to us wanting the edible treats to travel the shortest distance reducing the mileage food travels, improving the environmental impact, whilst also supporting real local bakers, who can then maximise their time baking and delivering locally. Bakers have their ‘main stay’ of local clients however, they struggle to attract business from outside their area – and we have enhanced their reach gaining cakes sales from around the world, but still they only deliver in their local area.- Supporting LOCAL from a GLOBAL reach! All our bakers are registered with this local Environmental Health office at their local council complying with all UK health and hygiene regulations and all are insured. How did you come up with the company? Through a personal tragedy this idea was born. During 2015 my niece (aged 45) had battled cancer for 2 years, and we knew was about to celebrate her final birthday. Having spent 2 years enjoying life, visiting cake shops and generally talking about cakes, I wanted to arrange a ‘simple’ cake to be delivered to her. Unable to arrange this from Kent, my sister, stepped in and ordered from a local bakery in Wales. I embarked on a 600 mile round trip to collect the cake from the bakery and delivered it to my niece. ‘The light bulb moment!’ If I had wanted to arrange flowers, or a book it would have been easy – but this wasn’t possible for a cake. Having discussed this with my niece prior to her death in the December of 2015 – she gave it her full support and it started from there. Are you a baker? No – which has given me great insight into what customers are looking for and translating this into ‘baker speak’. I didn’t know a naked cake from a fondant fancy! But I did know what I wanted the website to do. During the development of the site, the website development team were tasked with so many complex bits behind the scenes – but were told to hide the complexity and just make it simple. I think this has been achieved but we know a re-design will be needed eventually as we evolve as a company . Does the company run in a certain area of the UK or is it nationwide? It is nationwide, and we have bakers in most areas, however, not all bakers do the same cakes, cupcakes etc. Some bakers cater for allergies and others don’t, some make wedding cakes and others don’t. The site is designed to give you the closest baker geographically to where you want them delivered, and therefore bakers are not in competition as the customers delivery address will determine which bakers they will choose, together with what is available. How can mummy bakers sign up if would like to be featured? Bakers (both male and female), can find out more information here where we have answers to questions bakers have asked over the past 3 years. Do they need to pay a fee to sign up? It is free to join the site, and any other costs are shown in the email about how we work and what a baker can expect from us – support, marketing and honest feedback and orders. The business is doing so well. How do you manage it with having your own family to juggle too? Having 2 teenagers we have sat down with them, and they understand the short term sacrifices we are taking as a family, that will hopefully result in longer term gains. They have very quickly learnt that they are old enough to do jobs around the house, and have seen that when we all tackle the jobs together they get done quicker, are more fun and we get to get out of the house quicker and slightly calmer. Personally I have had to let some things slide too. I would really enjoy family homemade meals started from scratch, large family meals, birthday parties held at home with home made games and food, also volunteering at Scouts, rugby etc…and some of these have taken a back seat, but I hope not for too long as I just need to adjust my work life balance a bit. Have you always had an interest in baking? Eating yes, baking not really, but I am in awe of our bakers and have ordered quite a few cakes from our bakers, as the response from my family and friends that have them delivered in different parts of the country has been amazing. I know they would tell me if they didn’t like it. Do you have a 5 year plan? We’d like to go on Dragons Den, we’d like to show ‘This Morning’ and ‘Loose Women’ how we are helping bakers earn a living and making it easy for people to arrange cakes that are ‘just like your mums used to make’ – I’d like to show them the amazing feedback our bakers are getting where the best ingredients are creating great tasting cakes. If you could give any mummies some advice on starting a business what would it be? Know who you want to target…Take advice from people who DON’T have a vested interest (someone you are not going to pay for their services)….family don’t always know best, some are cautious, some have different values, some would never use your services anyway. Be prepared for very long hours whilst you get off the ground, have a support team around you, for childcare issues (we can all plan for holidays – it’s the ‘odd emergency sick days’ etc.) that you need to have a plan for. Do you have any hopes and also regrets in regards to Mums Bake Cakes? I wish I didn’t need this service in the first place (then I wouldn’t have needed to arrange for Davina, and it wouldn”t have entered my radar) but this is turning into a great accolade for my beautiful niece. What is your favourite cake to eat? Lemon drizzle, and having attended my friends wedding last week and I’d arranged the cake with a victoria sponge on the bottom and lemon on the top, it is still my very best cake ever! told you it was a good one. You can touch base with all the links provided and please do use the website if and when you need a cake / biscuits / cake pop. Simple really and like I mentioned earlier – you are welcome.